Get Complete Solutions from the Most Reliable Water Services Repair Company in San Jose and Bay Area The damages caused by water can be pretty extensive at times. Sometimes the damage cannot be detected easily but still, they have some pretty serious impact. This is the reason why you should always trust professionals to help you with such issues. 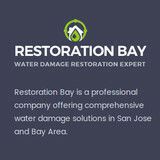 Restoration Bay is a professional water damage repair company in San Jose and Bay Area, CA. We offer you the expertise that you need to keep your home safe from the effects of water damage. The goal of Protek Restoration is to be the premier home remodeling company for water, fire, mold remediation for Sacramento County and the Western Slope. We know that the only way to achieve this goal is through a team of qualified people focusing on excellent service and teamwork with customers, home owners and insurance companies, along with mutual respect for all involved parties. We have a professional, qualified, and fully licensed staff with more than 75 years of combined experience in water, fire and mold remediation services ready to serve you. We at Protek Restoration are here to respond to any inquiry 24 hours a day, 7 days a week to disasters suffered by individual businesses and property owners. Empowering the construction industry to build for the future through simplified, standardized, Passive systems. 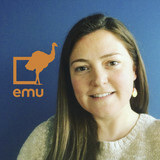 Emu offers professional training, consulting services, and component/systems analysis for all aspects of the design and construction of high quality building envelopes and healthy indoor environments. 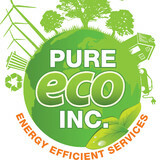 Here at Pure Eco Inc. We provide services that make your home more energy efficient and safer. Our services include: Attic insulation replacement, Soundproof walls or ceilings, Rodent proofing, Attic fan installation, fiberglass insulation, radiant barrier installation, cellulose insulation, crawl space cleaning, duct replacement and more. Pure Eco Inc, has been an industry leader in the Los Angeles area and are considered the Premier Insulation and Energy Efficiency company amongst our peers. Most general contractors make us their first and only call when in need of the services we offer and this should only reaffirm our quality of work when you reach out to us yourself. Contact the leaders in attic insulation and energy efficiency services now! 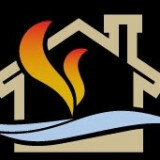 All New Again® specializes in water & fire restoration, reconstruction, remodeling and flooring. If It is insurance related, we are experts at helping you navigate through the cumbersome claims process and make your house "all new again." If you're looking for remodeling, or new flooring, our professional hands-on team will transform your dream into reality. Quick responsiveness, quality craftsmanship, budget consciousness, applied building sciences, and functionality all need to merge together when building a home environment and work space. Buildings aren’t just structures they are environmental units intended to enrich the human experience. At Paragon Restoration & Building, we understand the importance of all elements of building design, construction and repair. Our background repairing and remodeling hundreds of homes has taught a great deal about the good and the bad. The building industry has been changing rapidly over the past four decades as energy and environmental concerns have changed the way we manufacture building materials and the way we construct buildings. Along the way good ideas and good intentions have resulted in structure rotting moisture traps, unsustainable technologies and unintended health risks. But we’ve also gained an incredible amount of knowledge driving better design and construction. At Paragon Restoration & Building, our goal is to be at the forefront of building knowledge whether planning for “Aging In Place”, addressing environmental contaminates, building “Green” or utilizing applied “Building Sciences” to balance energy efficiency with a buildings need to breathe. Most of all it is our commitment to our customers, to understanding their needs, concerns and dreams that sets us apart. At the end of the day it’s our customers that matter most. Just as structures are meant to enrich the human experience, so too are our shared experiences. We are here to serve our community by putting you, our neighbors first. Mosquito Squad is proud to be America's most trusted mosquito and tick elimination company dedicated exclusively to controlling the annoying outdoor pests that ruin your backyard experience and transmit disease. All Mosquito Squad solutions are registered with the Environmental Protection Agency (EPA) and our trained applicators will treat your home and property as if it were their own. We are dedicated to our customers and are here to make sure that you are 100% satisfied with our service. Paul Davis Restoration of North Florida has been an innovative and leading company in the areas of mitigation, restoration, reconstruction and remodeling. We provide services to clean up and repair damage to residential and commercial properties due to water, fire, mold, storm or other disasters, serving retail, homeowners, institutional and commercial customers across the United States. Our mission is to deliver quality service with integrity. We are a company that turns crisis into calm. Professional roof and exterior cleaning. Specializing in safe, non-pressure, roof cleaning. Fully Insured. Satisfaction Guaranteed. 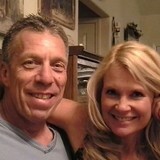 AZ's Best 4 Less Home Services in Scottsdale, Arizona, are the general contractors you have been looking for. We are licensed, bonded and insured for your protection and ours. Since our founding, we have always strived to exceed the expectations for our residential and commercial customers. No job is too large or small. We service all residential and commercial property owners located in the Phoenix metropolitan area such as Phoenix, Mesa, Chandler, Glendale, Scottsdale, Gilbert, Tempe, Peoria and Surprise. Crawlspace Solutions has provided pest control and moisture management solutions to residential and commercial properties for over 25 years. A majority of our services are performed in the crawl space, where a crucial part of the home, the structure, is affected. Moisture is a major concern for properties along the Jersey Shore, which often experience pest issues due to various factors stemming from poor moisture management and wood decay. As such, we developed an integrated pest control and moisture management system which helps directly target these major concerns and helps maintain the integrity of each property we service. As such, we provide a complete inspection report along with a list of services that addresses any concerns found within. APEX Disaster Specialists is made up of a group of individuals that span over 60 years of experience in the Construction and Disaster Restoration industries. We are extremely well versed when it comes to understanding insurance claims and how to handle them from start to finish from both the insured and the insurer’s viewpoint. We strive for excellence in customer service through superior communication and by paying attention to the smallest of details. When it comes to a loss of any size for your home or business, we have the resources and the knowledge to put the pieces back together as quickly as possible while maintaining quality craftsmanship in all that we do. We are there when you need us 24/7/365. You’d want to hire an environmental and restoration company to safely remove mold, or to rebuild after a fire or flood. Unlike normal renovation professionals, a restoration company will often start by securing your home and possibly removing dangerous contents before beginning any repair work. Most environmental damage is caused by water, fire or wind, so you’ll want to choose a restoration professional with experience in one or all of these areas. What about mold remediation? Mold remediation is the process of removing mold safely following industry protocols. Special training, equipment and licensing are required. Make sure you are working with certified, licensed and insured professionals who guarantee and warranty their restoration work. Older homes needing restoration may have lead paint on walls, doors, windows and windowsills. Lead that gets disturbed by sanding, cutting or replacing old windows can create hazardous lead dust. If your home was built before 1978, you’ll want to find restoration professionals with experience and training in lead-safe procedures. Find environmental services and restoration professionals on Houzz. Narrow your search in the Professionals section to residential environmental testing and home disaster restoration services to find a list of qualified professionals. Read through professional profiles for information on qualifications, experience and services provided.